Taveuni Island is one of Fiji’s best-known dive destinations. It is the third largest of Fiji’s 333 islands and is separated from Vanua Levu by the Somosomo Strait. The cigar-shaped land mass is a massive shield volcano, which rises from the ocean floor. 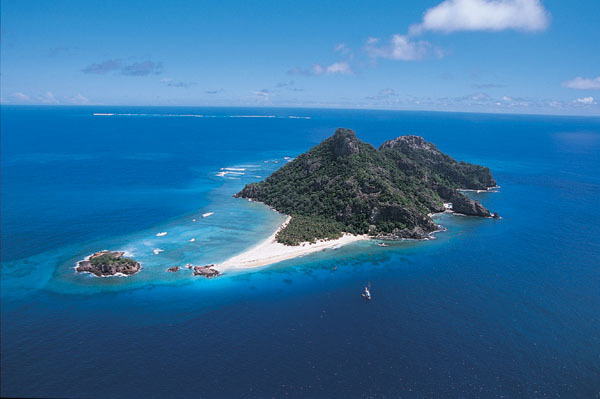 Roughly 150 volcanic cones dot the island, including Uluigalau, which is Fiji’s second highest peak. Tourists are attracted to the isle because of its abundant flora, prolific bird life, abundant waterfalls, and exotic bushwalks. Many of Taveuni’s best known attractions lie underwater though. Extremely nutrient rich tidal currents through the Somosomo Strait create perfect conditions for large and variedly colored, soft coral reefs. Every patch of rock is covered in vibrant hard coral, soft coral, leather coral, or the like. Every inch is a colorful vista brimming with each color of the rainbow. Walls of soft colors, clusters of coral heads, sandy slopes covered in bommies, and thousands of marine species call this dive site their home. 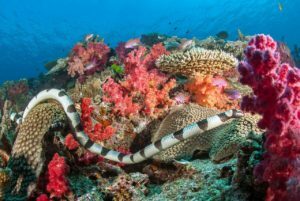 There is spectacular biodiversity with nearly 500 species of mollusks, 300 species of hard coral, and over 1,000 species of fish. The reef hosts a multitude of large pelagics, schooling gray reef sharks, barracuda, jacks, dogtooth tuna, Spanish mackerel, manta rays, and giant clams. 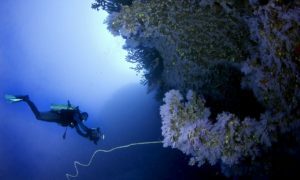 A magically distinct part of the reef is a stunning white coral vertical wall that is rated as the best diving site on the planet by many scuba enthusiasts. Blanketing nearly every inch of the reef space here are soft white Dendronepthya soft corals. The wall shines brightly as if it was sprinkled with newly-fallen snow. The wall of amazing alabaster soft corals stretches down beyond 300 feet/100 meters, offering scuba divers plenty to see at differing depths, including large lava tubes, schools of anthias, and larger pelagics cruising along the drop-off. Two wide channels skirt the wall. There are also several generously-sized swim-throughs at different levels and angles. 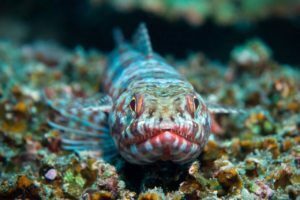 Night fish of all types can be found hiding out during the daylight hours in the large gorgonians of the region. Because the tidal currents are the reason the corals are so healthy, it means that that scheduling your dive to this site when the corals aren’t feeding is important. With more than 10,000 kilometers of pristine coral reefs, Taveuni offer numerous distinct diving areas suitable for beginners through experienced/advanced level divers. Another unique reef community popular among scuba enthusiasts sits on an isolated volcanic pinnacle with an anvil-like rock top crowned with jewels of multicolored soft corals, schools of blue chromis, and orange and purple anthias. Bigger fish, including midnight snappers, dark surgeons, and Napoleon wrasses, and Emperors also swim nearby along with a changing cast of pelagic visitors: Jacks, dogtooth tuna, Spanish mackerel, and large schools of bait fish. We love dining almost as much as we love diving! 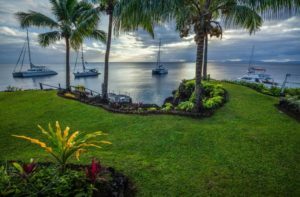 That’s why our upcoming Dive and Dine adventure to Taveuni will take you to the luxurious Paradise Taveuni resort March 31-April 7, 2019. In addition to experiencing some of the bests dive destinations in the South Pacific, our guests will be hosted by private chef Allan Gortan. Live cooking demonstrations and classes will make this dive adventure a culinary delight as well. Tours of the resort’s gardens, visits to local markets, dance performances, traditional ceremonies, and an abundance of fish life are going to make this Dive and More trip a once in a lifetime adventure! Great Lakes native Adrienne Wright has been drawn to water her whole life. While living in San Diego, La Jolla Cove became her happy place. 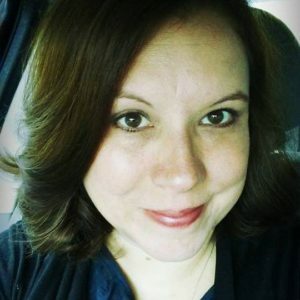 Today she calls a scenic lake in Southern Illinois her home away from home and puts her passion for the deep to use writing about diving destinations, marine life, and underwater photography.